The home of Michelangelo, Raphael, Leonardo, and Donatello is officially open to guests—and you don't have to crawl through a sewer to get there. From May 14 until June 2 (the day before Teenage Mutant Ninja Turtles: Out of the Shadows makes its theatrical debut), lucky guests will have the opportunity to book a one-night stay in the official Turtle Lair through Airbnb. Complete with professional graffiti art, New York City subway signs, and piles of pizza boxes, the space in lower Manhattan has been transformed to resemble the world of the franchise, down to the last detail. When visitors arrive in the underground dojo, they won't have trouble finding something to do. 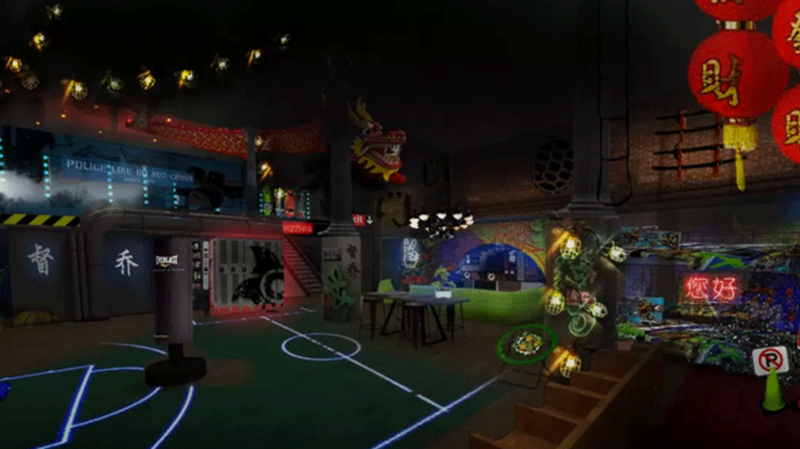 A lit-up basketball court with glow-in-the-dark basketballs occupies one side of the room, and on the other end guests can lounge in front of the lair's home entertainment system, which includes an Xbox 360 and Xbox One. For something more old-school, the room also features the original Teenage Mutant Ninja Turtles arcade game from 1989. On the upper level, guests are free to jam out on the keyboard, drum kit, and electric guitar and then sit back and keep an eye out for bad guys on the five-monitor surveillance system. And because no Turtle lair would be complete without pizza, a local spot will be making free deliveries to the address. Booking the lair is free, and a donation will be made to PACER's National Bullying Prevention Center in the name of each guest that spends the night. Unfortunately, the first block of nights has already been filled. But don't despair: new opportunities to book your stay will be announced through the film's Twitter handle throughout the month.